Office on Demand is a feature that provides online access to full rich Office desktop applications, including Word, Excel, and PowerPoint, when you’re using a PC that doesn’t have the latest version of Office installed locally. Office on Demand is available to anyone who has an Office 365 subscription that includes the Office application suite. Office 365 subscriptions that include the Office applications let you install on up to five devices for use both online and offline. 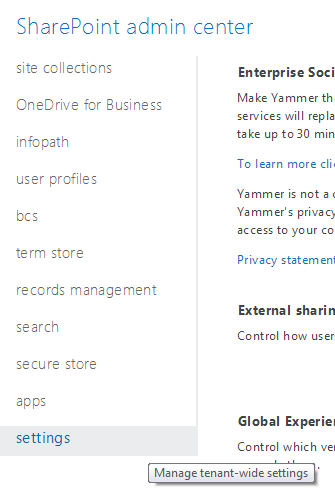 Office on Demand is a helpful option if you want to use your Office applications on an additional device or on a device that you don’t own, such as when you’re logged in as a guest using someone else’s computer. This also works in environments where thin clients are used such as a Citrix or kiosk based setup where users cannot install software, and license management can become quite the hassle if multiple users are using the same server to do their work each day. And then scroll down to the Office on Demand header to enable or disable the functionality.